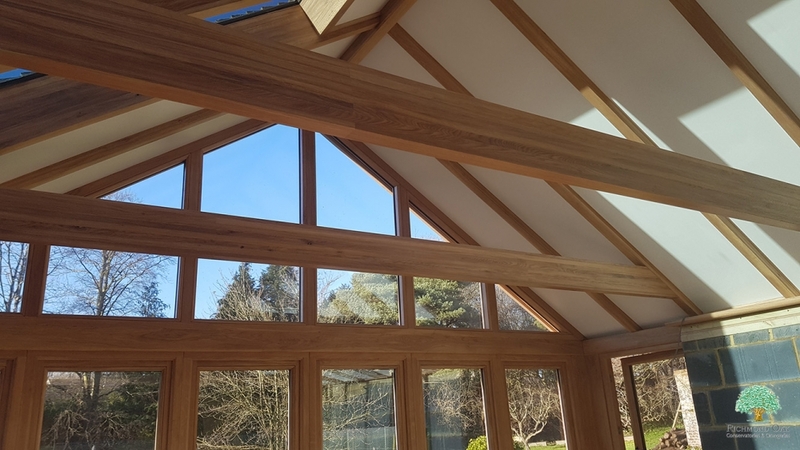 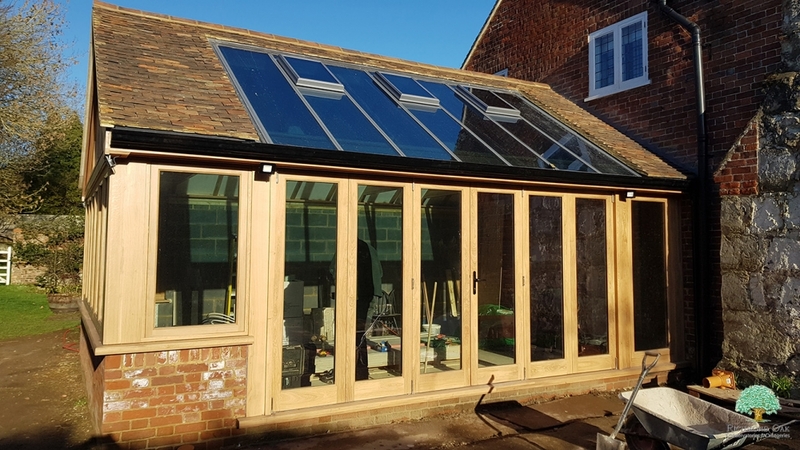 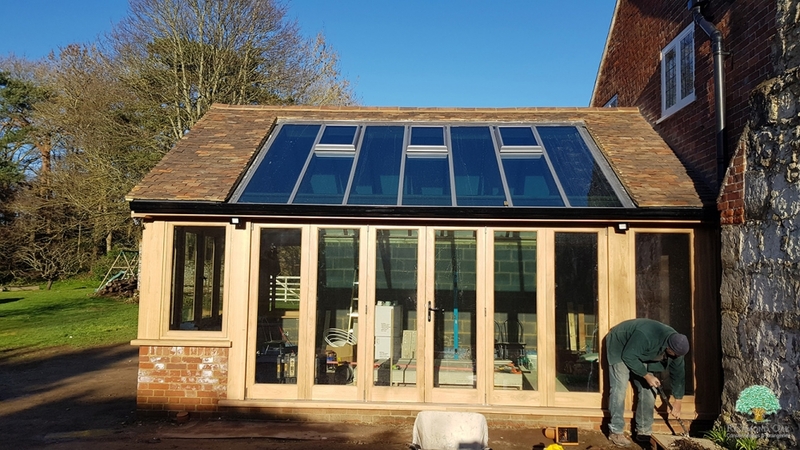 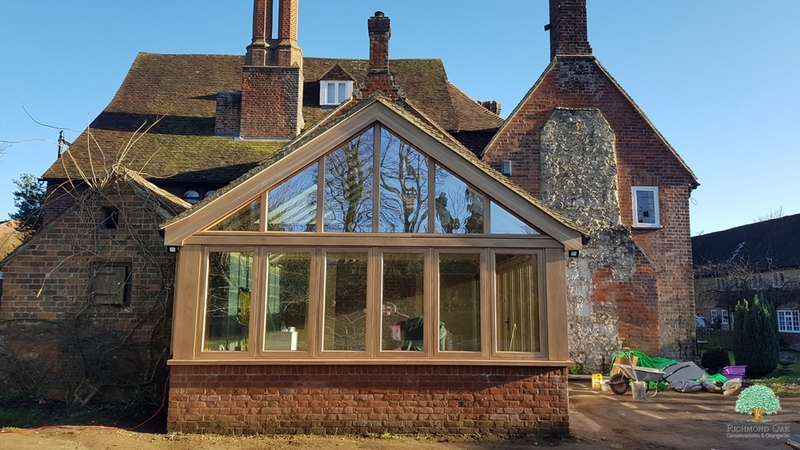 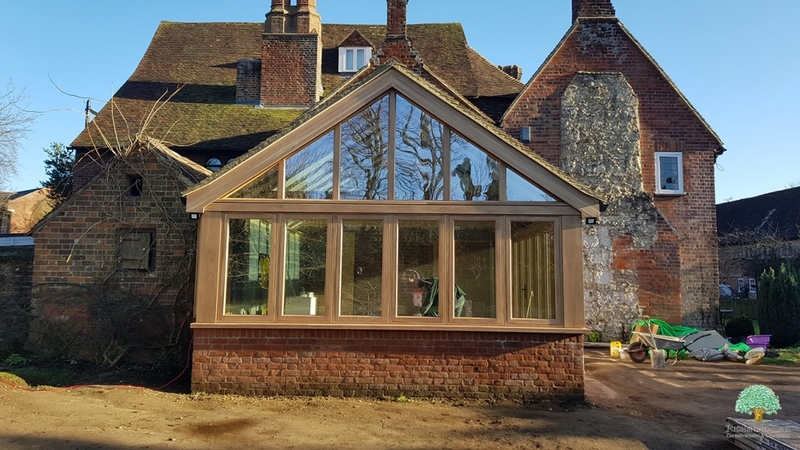 These photos were taken soon after completion of a Seasoned Oak Garden Room on a Grade 2 Listed property near Ashford in Kent. 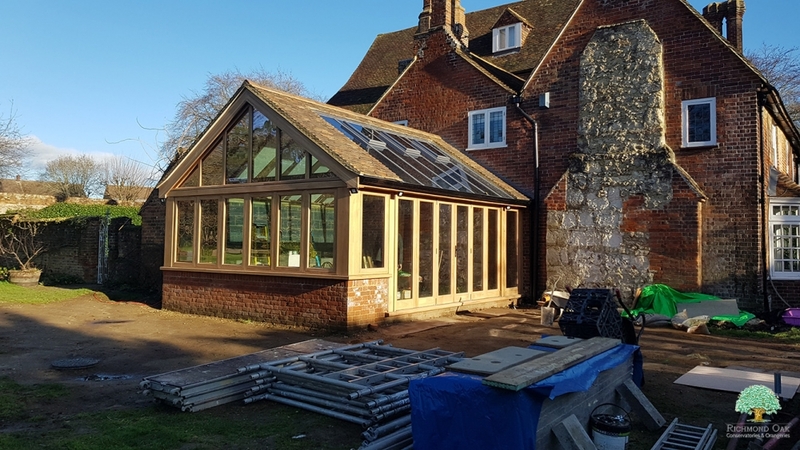 It has reclaimed Kent peg tiles on the roof and glazed panels above the bifold doors. 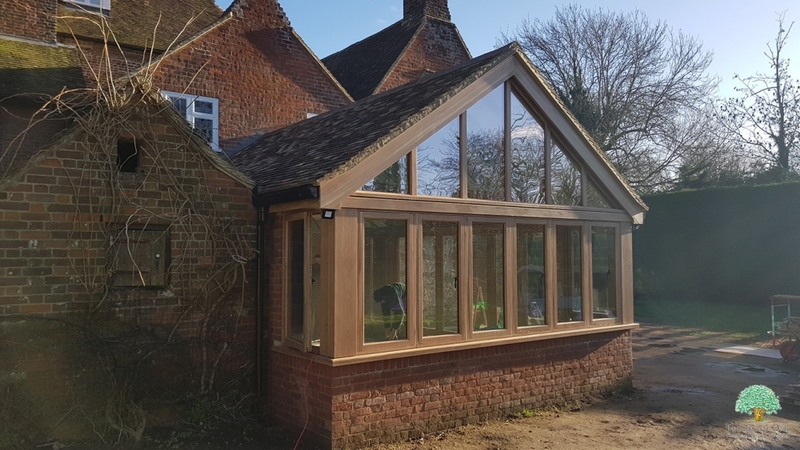 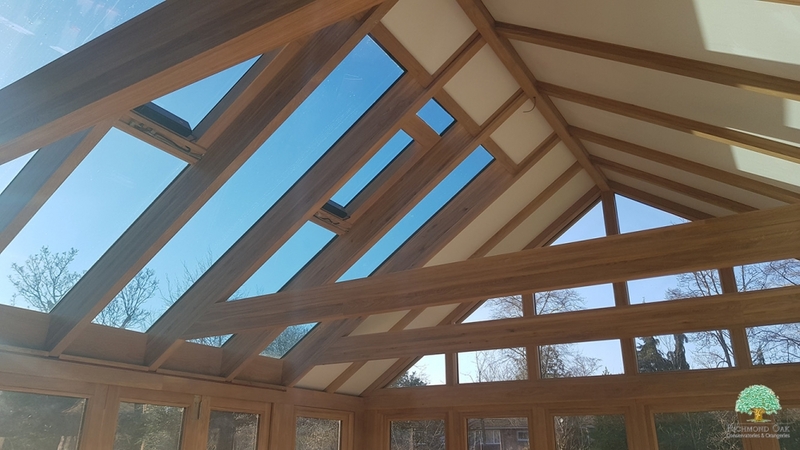 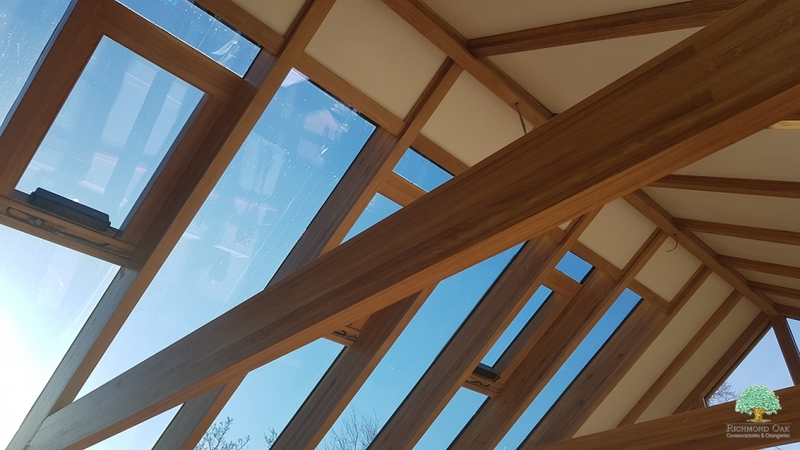 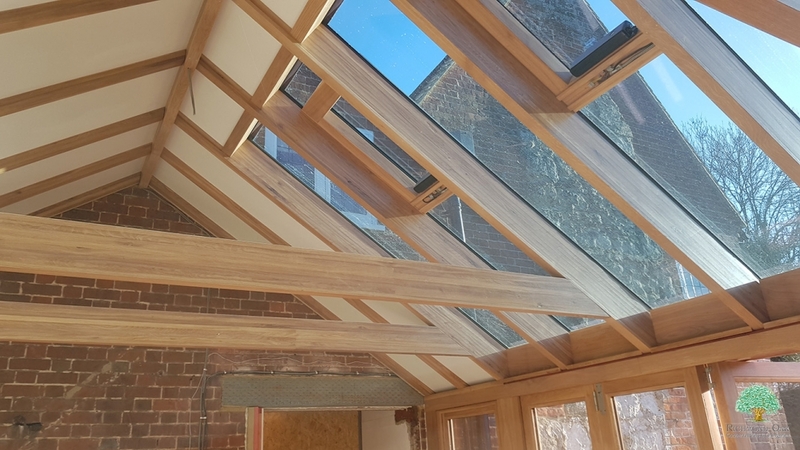 The oak frames are 92mm flush system with an Osmo 429 oil finish. 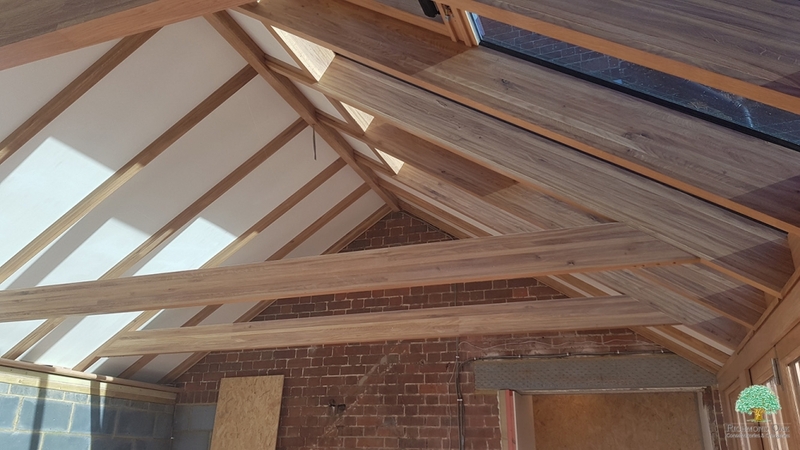 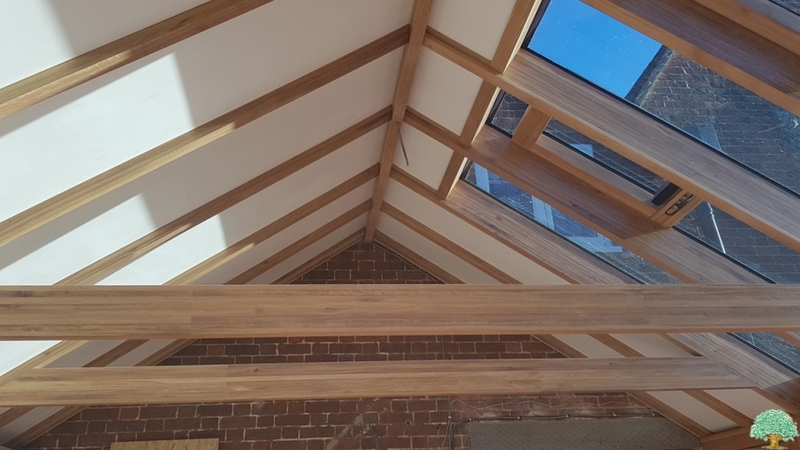 The interior has exposed 215mm rebated rafters with a matt white MDF ceiling.